Eric Ives’ biography, “The Life and Death of Anne Boleyn”, is in my opinion the definitive guide to the life and times of this iconic Queen. It gives an account of Anne Boleyn from her background, through her courtship with Henry and her life as Queen, to her trial, judgement and execution.My copy is always at hand and I like it because it gives so much detail and Ives cites all of his sources. It has well over 400 pages of information. In “The Rise and Fall of Anne Boleyn”, American historian and Professor of History at Arizona University, Retha Warnicke, gives what she calls “an analysis of the crucial phases of her [Anne Boleyn] life and more specifically of her role in the politics of her day, with particular emphasis on the rules and conventions of the society in which she played her part”.This is a great book written by someone with a real knowledge and understanding of the Tudor period. “Anne Boleyn: A New Life of England’s Tragic Queen” by Joanna Denny is an excellent biography of Anne Boleyn which attempts to paint a true picture of this much maligned woman. According to Denny “No English Queen has made more impact on the history of the nation than Anne Boleyn, and few have been so persistently maligned”. 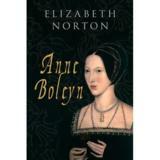 Amazon blurb: “The perfect introduction to the tragic story of Anne Boleyn. The only short illustrated guide available to – by far – the most popular of Henry VIII’s six wives. Highly illustrated, full-color book, competitively priced. 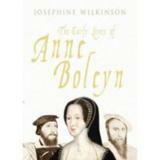 Includes major sections on the following heritage sites associated with Anne Boleyn’s life. 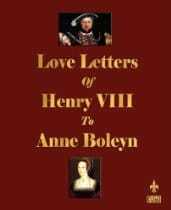 I love this book, the “Love Letters of Henry VIII to Anne Boleyn”, because it contains seventeen love letters that Henry VIII wrote to Anne Boleyn plus a letter that Anne wrote to Wolsey with a postscript by Henry.The letters really do give you an insight into Henry’s feelings for Anne Boleyn and the passion that drove him to break with Rome so that he could marry Anne. Amazon blurb: “Anne Boleyn is perhaps the most engaging of Henry VIII’s Queens. For her he would divorce his wife of some twenty years standing, he would take on the might of the Roman Church and the Holy Roman Empire; he would even alienate his own people in order to win her favor and, eventually, her hand.But before Henry came into her life Anne Boleyn had already wandered down love’s winding path. She had learned its twists and turns during her youth spent at the courts of the Low Countries and France, where she had been sent as a result of her scandalous behavior with her father’s butler and chaplain. Here her education had been directed by two of the strongest women of the age – and one of the weakest. An Anne Boleyn biography from 1972. 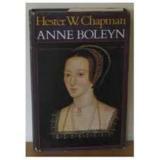 Hester Chapman’s 1974 biography of Anne Boleyn. I’ve read Anne Boleyn and Me when i was 10 but i found it really bland. There was no mention of Mary Boleyn, Elizabeth Boleyn nee Howard or even Thomas Boleyn. The only mention of George is when he tries to assault someone. And absolute nadda about Jane Parker. Not very informative and it really isnt a biography or non-fiction either. The book also doesn’t refer to Anne’s faith either or the English reformation really. And in the book Anne Pioson’s Fisher. Not what i’ll recommend and its fiction.